Davis-Monthan Air Force Base personnel assembled a tent that will house soldiers that will be deployed to the border. 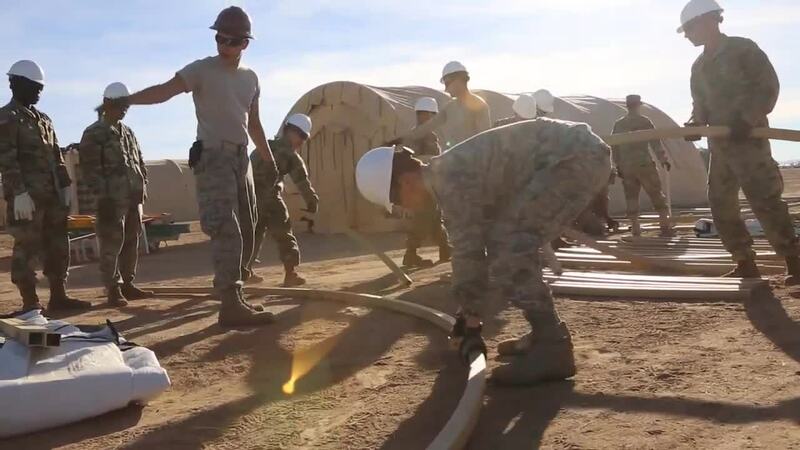 Soldiers and Airmen belonging to the 355th Civil Engineer Squadron assembled the framework for the tents this weekend. Dubbed Sunglow City, the tent will serve as a shelter for soldiers taking part in Operation Faithful Patriot , part of a White House initiative meant to curtail the illegal crossing of migrants across the border. As many as 15,000 troops will be deployed to the border in reaction to a caravan of asylum-seeking migrants traveling toward the U.S. border from Mexico.